A ton of our favorite superheroes came to the big screen in 2018. Now it looks like 2019 will be even better. 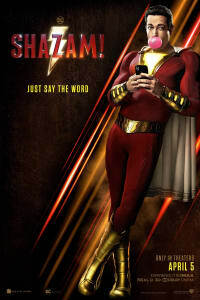 Based on the upcoming film slate, Marvel was just getting started and DC is also ramping up their releases. Check out the comic book adaptations coming to an AMC near you, and get your tickets today. Brie Larson stars in Marvel’s first female-led superhero film, CAPTAIN MARVEL. We first find her character, Carol Danvers, in outer space, fighting alongside Kree warriors against the shape-shifting Skrulls. When her aircraft crashes during a mission, Carol gets captured by the enemy and ends up on Earth, where she meets a young Nick Fury (Samuel L. Jackson). Together, they must stop the Skrulls’ dangerous plot and uncover Carol’s past and true identity. 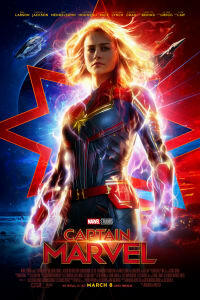 Get your tickets to the opening of CAPTAIN MARVEL at AMC, March 8. 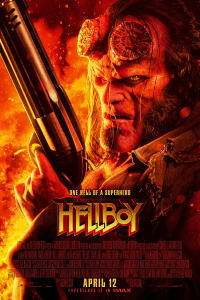 Based on the graphic novels by Mike Mignola (Dark Horse Comics), HELLBOY returns to the big screen in April 2019. The film features our lead (David Harbour), caught between the worlds of the supernatural and human, in a battle with an ancient sorceress bent on revenge. Based on the film’s original subtitle, “Rise of the Blood Queen,” the villainous witch is Nimue, played by Milla Jovovich. 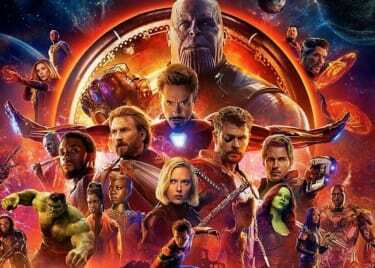 AVENGERS: INFINITY WAR devastated Marvel fans and the entire MCU. Now, our remaining heroes will face the fight of their lives. In AVENGERS: ENDGAME, Iron Man is adrift alone in space with only a day’s worth of oxygen. Captain America and Black Widow are reeling from the loss of their friends and family, but appear to have a plan. Then an unexpected visitor shows up — and since we know Captain Marvel is out in space somewhere, maybe that first visitor won’t be the only one. 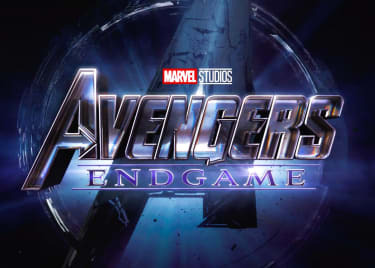 Get your tickets to the opening of AVENGERS: ENDGAME at AMC, April 26. Friend becomes enemy in this X-MEN sequel. 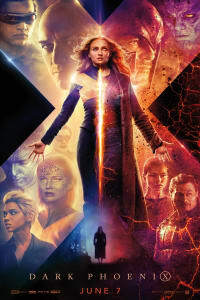 Jean Grey (Sophie Turner) has a home with Professor Xavier (James McAvoy) and team, but a darkness gnaws at her psyche. During a mission in space, a blindingly powerful spirit is awakened within Jean. Soon, she is wholly corrupted by this Phoenix Force. Jean looks to ally with Magneto (Michael Fassbender) as she pushes toward a showdown with her former friends in the X-Men. Their final collision is likely to have dire consequences. Check back at AMC for tickets to the opening night of DARK PHOENIX on June 7. We saw Tom Holland’s Spider-Man dissolve in INFINITY WAR. (“Mr. Stark, I don’t feel so good.”) But that can’t be the end of the young webhead … right? Since there’s a new movie coming, we assume not. 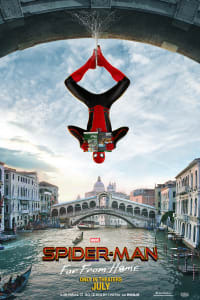 In FAR FROM HOME, which takes place at some point after the last AVENGERS movie, Spider-Man takes a trip abroad. He encounters Mysterio, played by Jake Gyllenhaal — and there might be some other new super-powered types to deal with, too. Check back for tickets to SPIDER-MAN: FAR FROM HOME at AMC, opening July 5. Sure, being a superhero seems awesome. The premise of this X-Men offshoot, however, is that being a mutant might also be really scary. Anya Taylor-Joy, Maisie Williams, Charlie Heaton, Henry Zaga and Blu Hunt play teens whose mutant powers have taken over their lives. As a result, the five new mutants are confined in a secret facility. With powers like the stuff of supernatural tales — turning into a wolf, wielding magic and conjuring illusions — it should be no surprise that THE NEW MUTANTS has been said to be a horror movie at heart. Check in with AMC for tickets to THE NEW MUTANTS, which opens on August 2. Can failure drive someone to violence? JOKER might show us how it can. Joaquin Phoenix plays a very different version of Batman’s primary nemesis in a film from THE HANGOVER director Todd Phillips. This Joker is a failed stand-up comedian who veers into anarchism and murder. If that sounds like more of a riff on Martin Scorsese’s THE KING OF COMEDY than a superhero movie, you might be right — but that kind of outside-the-box thinking is exactly why we can’t wait to see this movie. 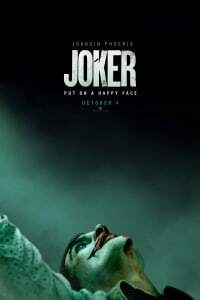 Check back with AMC for tickets to JOKER, opening October 4.